With over 3000 hours in training and 22 years of experience Mickey will design a massage for you depending on what your needs and wants are. She incorporates Swedish, Deep tissue, Trigger point and Energy work into every massage. Hundreds of people have said "Best massage I have ever had!" Carrying a baby inside you puts a lot of stress on your back, neck, hips, abdominal muscles and shoulders. All the changes taking place in your body can cause a host of aches and pains. Massage can make your pregnancy easier. A refreshing, gentle, moisturizing scrub that leaves your skin feeling silky smooth. The natural salt minerals are infused with organic oils to buff away dry skin and lock in moisture, while detoxifying and aiding in circulation. Rejuvenate your body, soul, and mind with this amazing essential oil treatment. The 8 essential oils work together to rid the body of toxins that are deep within the body- causing inflammation and pain. 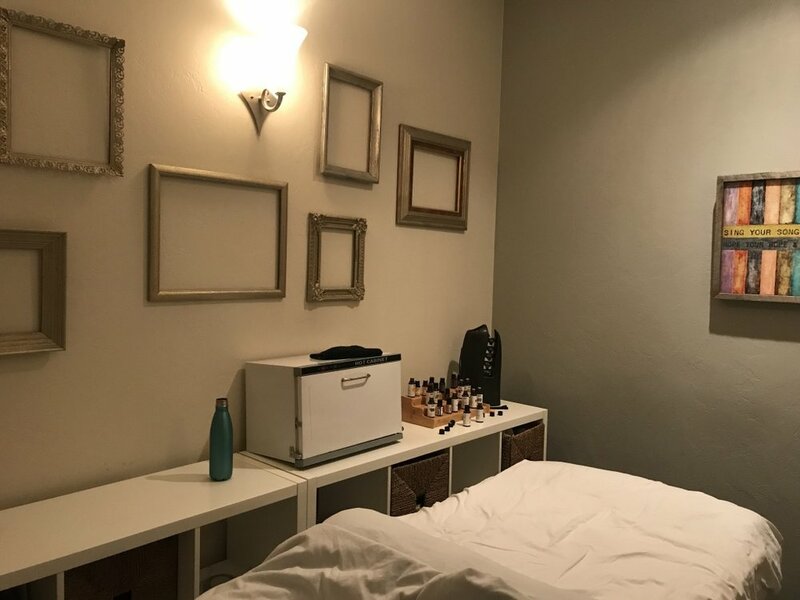 The oils are applied to the reflexology points of the feet and then raindrop style to the back with a variety of massage techniques and heat application. Water treated stones are placed on specific sites on the clients body to promote relaxation and open up the meridians (energy pathways). Hot stones are also used as a massage tool to access knots and tightness. This unique massage provides deep dimensions of relaxation and well being. This treatment has numerous benefits including: improved overall health and well-being, increased energy and vitality, increased circulation, removal of metabolic wastes for faster healing and detoxification, and release of endorphins to promote relaxation and relieve pain.